The next week and a half will see a bunch of new Ghost-type Pokémon and hats in Pokémon GO. 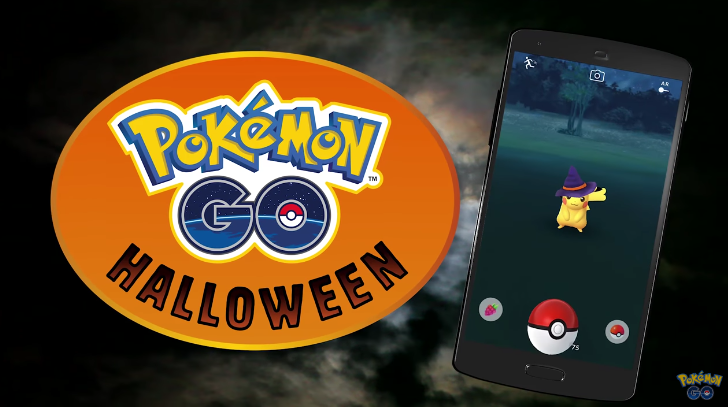 As we all eagerly await the release of the majority of the generation three Pokémon, check out what you can expect of the Halloween event and how to make the most of it! What Pokémon are new and are they any good? There are five new Ghost-type Pokémon: Sableye, Shuppet, Banette, Duskull and Dusclops. Be sure to try and examine each one you encounter – they (or at least Sableye) can be Shiny! Sadly at best these aren’t strong additions battling-wise, but you may still want to use Pinap berries on a couple. Sableye is not one of those Pokémon. With no sign of Mega Evolutions in the game, its max CP of 1,118 at level 30 is underwhelming at best, and it can’t evolve. While Shadow Claw and a typing with only a weakness to Fairy-types are good starting points, it ultimately is just too weak to compare favourably to the likes of Gengar, or indeed other Dark-types. Sableye hatch from 10 km Eggs. Shuppet and Banette are perhaps more useful, with Shuppet requiring 50 Candy to evolve into Banette. Banette has a more respectable 1,777 CP at level 30, and the chance for Shadow Claw and Shadow Ball as its attacks (and Thunder as an optional Charge Attack). It still falls behind Gengar, but it’s no slouch in raids against Alakazam. Given you get double Candy for catching during the Halloween event and you might see a wild Banette, don’t use Pinap Berries too often on Shuppet. Shuppet hatch from 5 km Eggs. The Duskull line is the most worthwhile in the long run. While Dusclops is frankly weak for an evolved form (CP of 1,144 at level 30) and only needs 25 Candy for its evolution, when the generation four Pokémon come around it can evolve into Dusknoir which boasts a 2,000+ CP – at the cost of 100 Candy. Again, note the double Candy boost in the event, but if you’re going to use any Pinap Berries, the Duskull line is worth it. Just be sure to save some for December! Dusclops isn’t strong, but it’ll (eventually) evolve into a decent fighter! Note that another Ghost-type, Shedinja, will not appear during the event. It’s an unusual case and may take a while to appear, like how Delibird and Smeargle have not yet appeared in Pokémon GO. Pikachu, alongside Pichu and Raichu, don yet another hat. If you’re a collector, you might as well try for at least two hatted Pikachu, and hope for some luck hatching Pichu from 2 km Eggs collected during the event. Pikachu spawns should be increased during the event, and players should consider this a good opportunity to try and find a rare Shiny Pikachu. 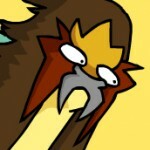 Currently only the Pikachu and Magikarp line can be Shiny. The event information and banner has also noted that other Pokémon will be likely to show up. 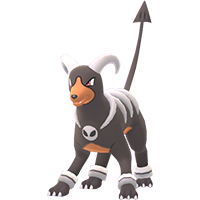 A notable one is Houndoom; if you ever get an EX Raid Ticket you may find them rather valuable in fighting Mewtwo. This may be the most useful of the old Pokémon to show up more often during Halloween. Consider transferring a bunch of Pokémon during this event – not just to make space for the new Ghost-types and other generation three Pokémon in December, but to also take advantage of the double Candy event! Take advantage with walking your Buddy and hatching Eggs as well with the double Candy – if you get 10 km Eggs, you might as well use an Incubator on them and hope for a rare Mareep or Larvitar. There will be special boxes on sale during the event too, which include Raid Passes and Super Incubators. If you’re hoping for a sale on box or item space in the coming months, be sure to save some spare coins just in case. There’s unlikely to be any sale for those during October however. Lastly, be sure to claim your new Mimikyu hat for your trainer character!! It is expected that this clothing item will be free. The Halloween event runs from October 20 at 12:00 P.M. PDT until November 2 at 1:00 P.M. PDT. What part are you looking forward to the most? 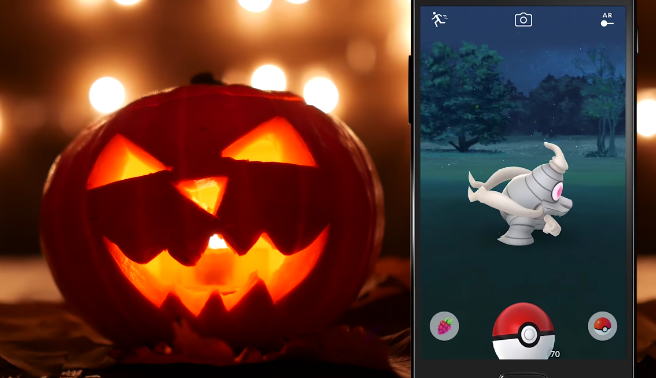 Previous PostMagikarp Jump Now Available on Amazon’s App StoreNext PostShiny AND Spooky: Pokémon GO Halloween event includes shiny ghosts!